Which Blog Commenting System Do You Use and Why? Which Blog Commenting System Do You Use and Why? Home / Blogging Tips / Which Blog Commenting System Do You Use and Why? One aspect of blogging that matters a lot is readers responding to what you have blog about. This they do buy posting comments on the blog post. Blog commenting is good for so many things. One of which is the ability to ask further question, show appreciation for what a reader has learned in the post, getting linkbacks to the readers’ blog and so many other good thing. The truth is, spammers post a lot of stupid and annoying comments using the same blog commenting system. In a little while, you will find a list of some popular blog commenting system. The aim of this post is for you to read through and help us answer the question of which one do you use and why. These you should help answer by using any of the blog commenting system we use on this blog. As you comment, you would also see the blog commenting system we use on Make Money Online Nigeria. These are the normal blog commenting system that comes with the installation of a blog. This can either be a WordPress blog commenting system or a Blogger blog commenting system. There are so many other blogs like posterious, tumblr, typepad etc which comes with there own blog commenting system. This blog is WordPress based and it once used the normal blog commenting system. I had to change to another blog commenting system you would see further below because fitting spam comments had become tiresome. (UPDATE: We have gone back to normal commenting system). This blog uses Facebook comment system. I use this because it helps readers who have an account with Facebook to easily drop comments. Apart from this, once a comment is made on this blog, I get a Facebook notification about the comment. So far, it has been of good use. Even though, Facebook users can use it as a SPAM medium but it can be easily moderated. 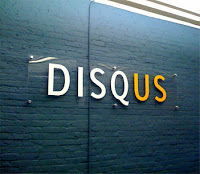 Disqus, pronounced “discuss”, is a service and tool for web comments and discussions. Disqus makes commenting easier and more interactive, while connecting websites and commenters across a thriving discussion community. The Disqus comment system replaces your WordPress comment system with your comments hosted and powered by Disqus. This blog used Disqus comment system. I used this to replace the normal WordPress blog commenting system simply because it helps minimize considerable the amount of SPAM comments I get. Apart from that, it has Facebook, Twitter, Sesemic and other useful sites integrated with it. IntenseDebate is a feature-rich comment system for WordPress, Blogger, Tumblr and many other blogging/CMS platforms. With IntenseDebate comment system, you improve the conversation within the comment section and reply directly to an individual comment. You can also integrate Facebook and Twitter login with it. Now that you have seen the popular blog commenting system, which one of these blog commenting system you use and why do you use the blog commenting system? I’ll be looking forward to read from you. I’ve been using Disqus as my commenting platform because my comment will be publish right away if there is no moderation. It can also give you the benefits in giving you good leads in Google for the good exposure to the people who doesn’t know you yet. I use discus because it’s easy way to post a comment using it and almost all of the comment I share become live. I prefer to use disqus comment to put it on my blog. Firstly it is easy to comment and its function really delivers. I’ve been wondering if this Disqus have some special feature because most bloggers tend to be using it. I’ll try them out anyways. Thanks for sharing. I use Disqus blog commenting system, it is good and easy to manage. can I know why you using DIscus?I thought you say many spam? I use Disqus it’s my favourite all time and topics are also very good and I express my self very good on each and every post which is my favourite. I like the functions of Disqus, but the default WP plugin provides some effective tools for rewarding people to comment more on your blog including the Commentluv and Keywordluve plugins……. I use Disqus on my blog – like the functionality and “reactions” section. And it cuts down on spam big time. Much better than the standard WP comment feature. @Chris… That’s right. I’m thinking of removing the normal wp comment feature. What do you think? Thanks.. So what commenting system do you use and why?